Any kind of pizza is good in my book. When I started Weight Watchers it was the hardest food for me to limit myself on. Now days I manage portion control better so one slice does not seem like such a sacrifice. I started looking for pizza recipes that were lower in PPVs. 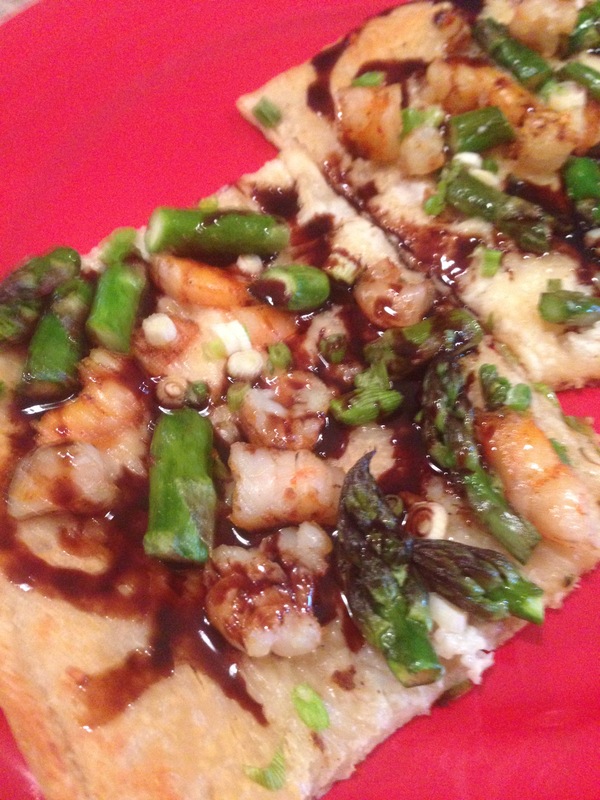 Here is my adaption of Eva Longoria’s shrimp flatbread recipe posted on Hungry Girl. 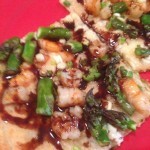 You should really checkout the great recipes on Hungry Girl. Good stuff!